The summer of 2012 saw Safari get put to good use. I drove it around 2,500 miles and started to think of it as my daily driver. Poets and songwriters would call it "the good life", encouraged by above average Southern California temperatures. I did notice a change in the handling however. The steering had become vague but worse, there was a wandering tendency as the tires started to follow the groves in the pavement, forcing minute steering corrections. The change had been gradual but as the summer came to a close, it became more noticeable. Front wheel tire wear was very uneven. Enter Paul Wustrack, Master Mechanic (specializing in American Muscle cars) and all around great guy. Safari went on the lift and it was clear the front end was tired. Paul had the car for about a week. He can best be reached via his facebook page. We also went for the $60 Polyurethane Bushings upgrade. 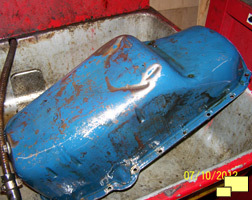 There was no doubt that the front end had not been worked on in the 44 years since Safari left the St. Louis MO factory. 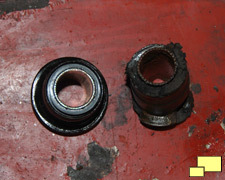 Left: The bushings were shot which likely contributed to the wandering tendencies. 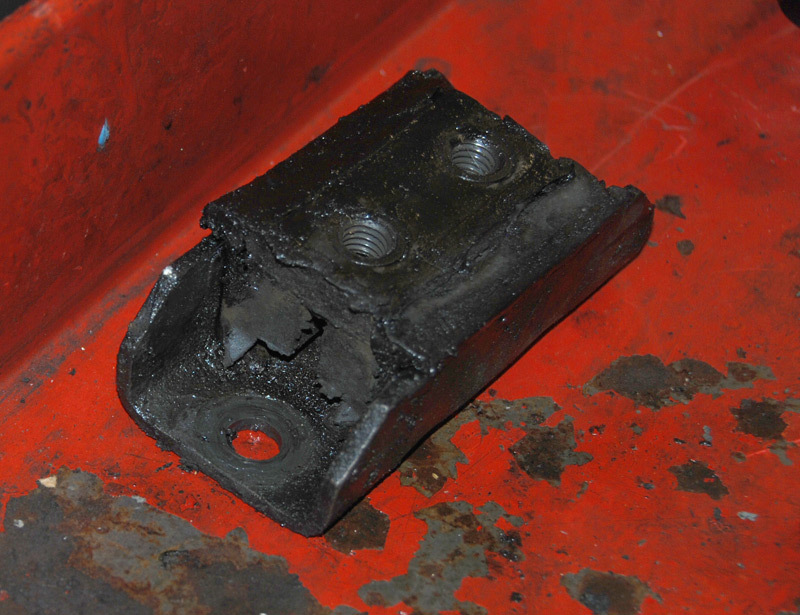 This work is never easy and Paul was forced to become aggressive when removing the bushings. 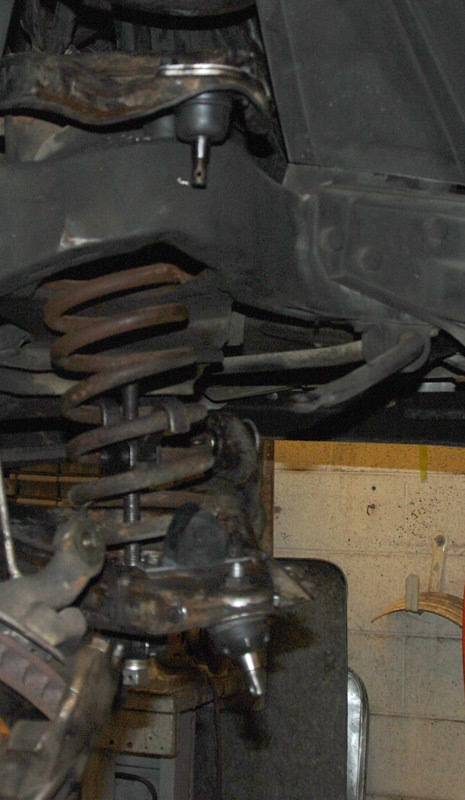 Center: new ball joints were installed. 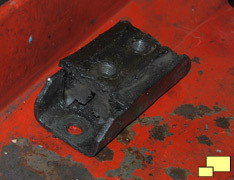 Right: the transmission mount was also shot and was replaced. 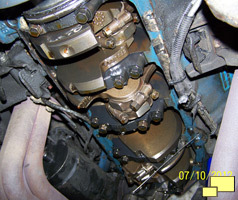 Left: The crankshaft was exposed and a question was answered: the Safari engine is 350 cubic inches. 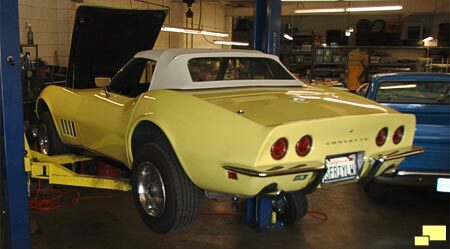 1968 Corvettes came with 327 cu. in. motors as standard equipment. The Safari motor had been exchanged for what is known as a "010" (pronounced O-Ten) crate motor but until we saw the longer stroke crankshaft, the true displacement was a mystery. 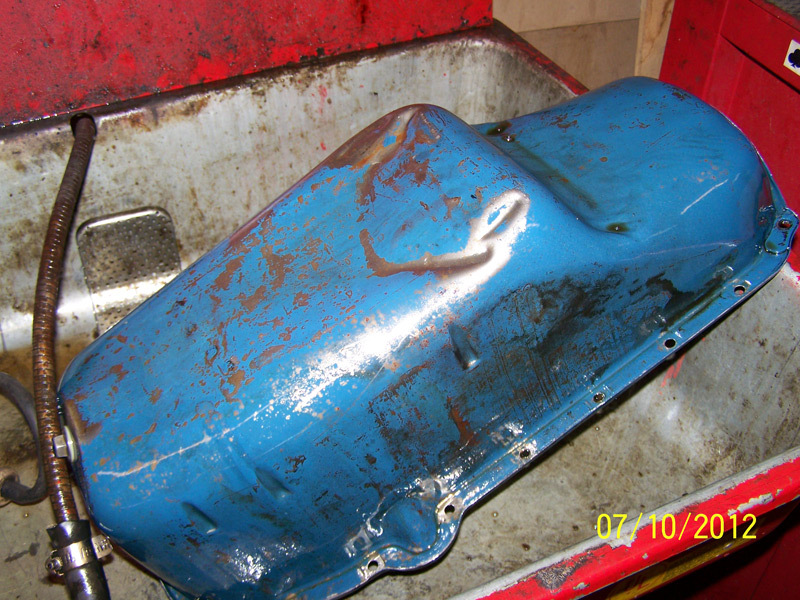 Right: The primary reason behind removing the oil pan was to deal with a significant oil leak problem. 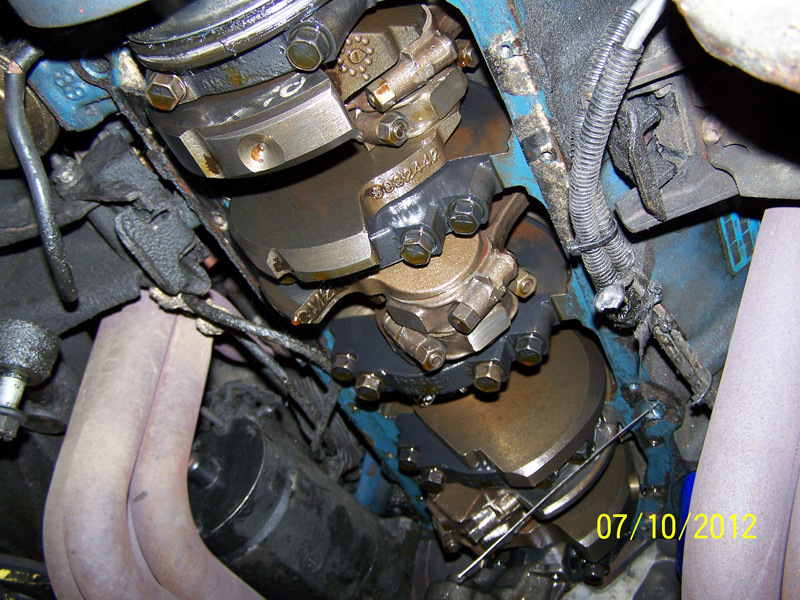 A new oil pan gasket and new valve gaskets brought the problem under control. 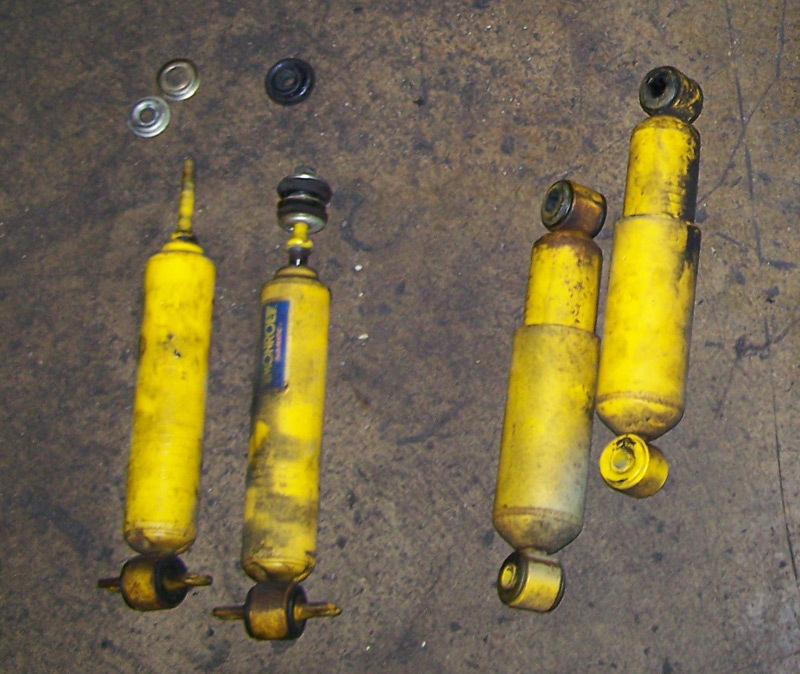 Existing shock absorbers were tired and replaced as part of a long list of "while we're at it" items. 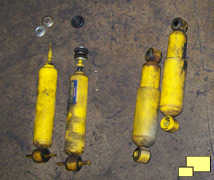 New KYB gas shocks were installed. 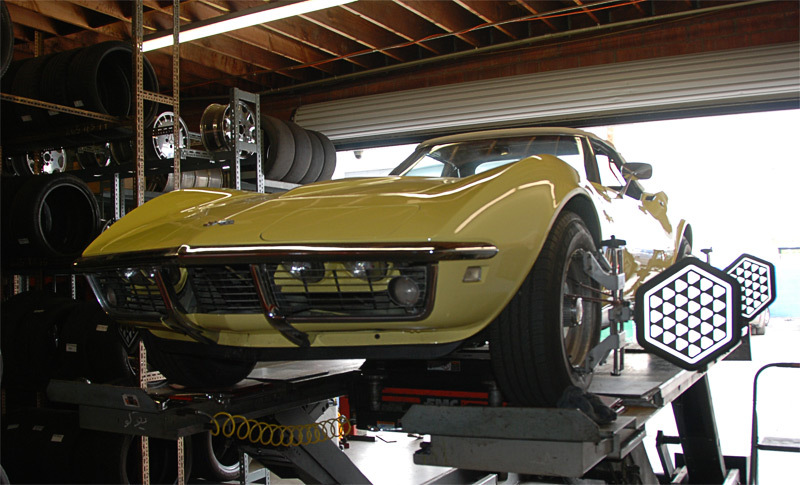 After the front end work a four wheel alignment was necessary. Service Tire Company in Van Nuys CA did a great job. 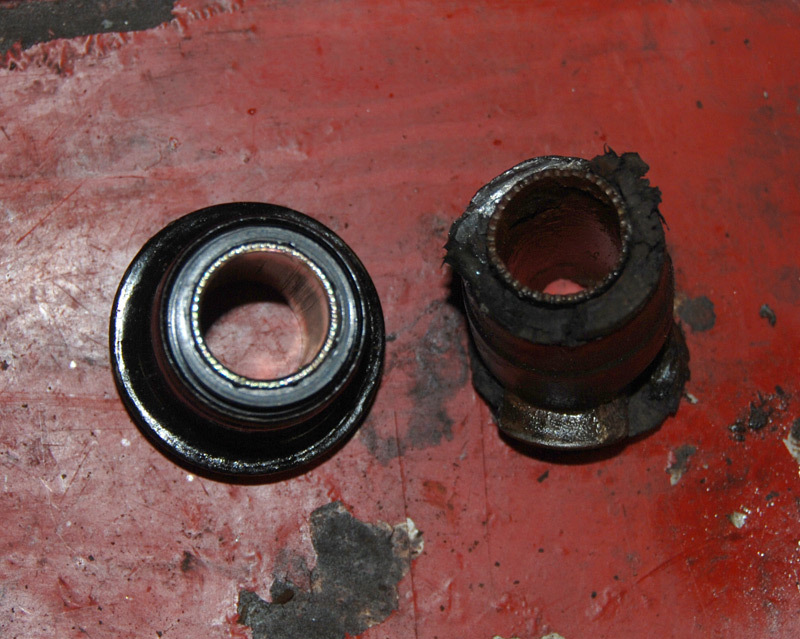 Steering, which had been pulling to the right along with the other front end troubles, was now straight. 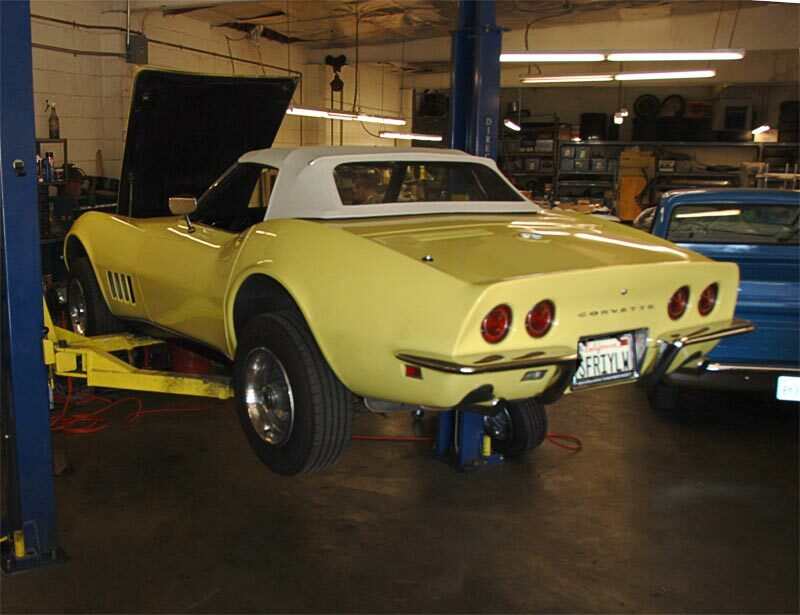 About $2,000 was spent which included fixing a lot of other problems expected in a 44 year old car. The results were significant. Safari no longer followed the grooves in the highway and the steering lost a lot of it's vagueness. What's next? I am looking into a 15" 1969 to 1972 steering wheel to replace the "Grant" aftermarket wheel installed by the previous owner. I do have the original 16" steering wheel but it is too large, leading to comfort and ergonomic issues. The non-functioning back-up lights will need to be looked into. Also under consideration: a tilt / telescopic steering column and power steering.